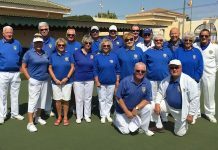 Twenty teams from North Costa Blanca took part in this year’s 3-2-1 competition at El Cid Bowls Club. 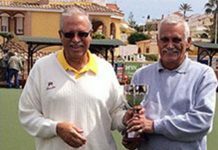 The teams played over 3 days 26/27/28 October and experienced all weather conditions. 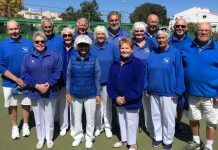 Beautiful warm sunshine on first day followed by a cloudy and wet afternoon on day 2 and ending on a sunny/cloudy but cold Sunday. 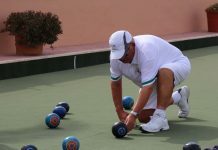 The 3-2-1 involves playing 6 ends of Trips followed by 6 ends of Pairs followed by 6 ends of Singles matches. 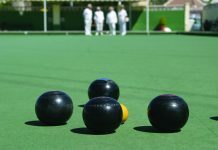 Each team played 5 matches with the top two in each Group going into the semi-finals. 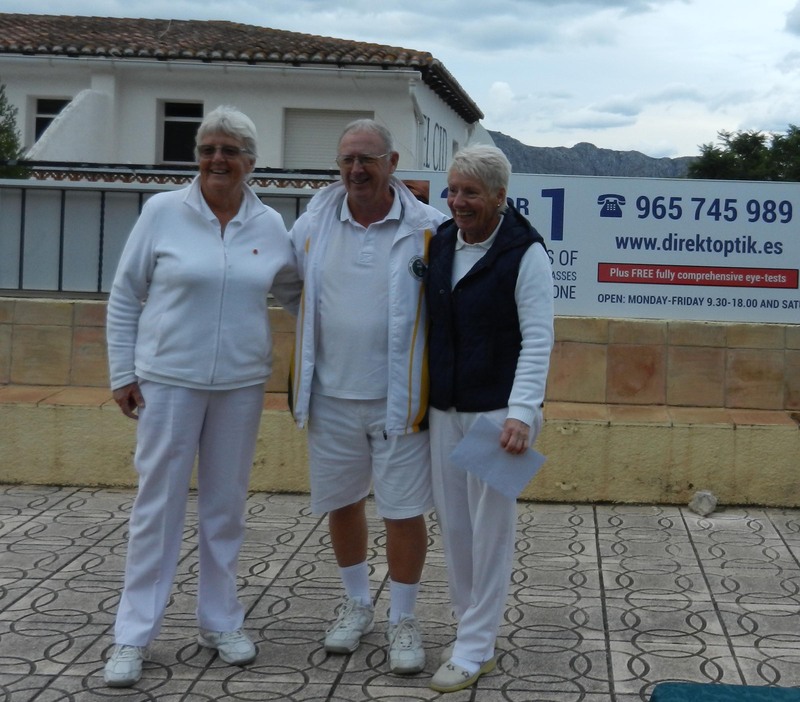 The final was played between Betty Anderson, Stewart Beattie (El Cid) and Velia Wood (Javea) against Sue & Graham Mills and Dave Sparrow from Bonalba (assisted by Norman Burgess on Day 1. 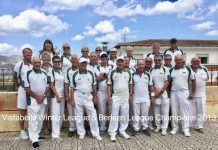 Bonalba had won the Trips, The Pairs went to Betty and Stewart and the Singles between Velia and Graham ended in a draw but the guys from Bonalba had the overall shot difference to take top prize. 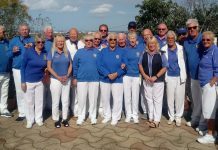 El Cid Captain Stewart Beattie presented the generous prize money to the Winning teams from Bonalba and thanked them for the support they always give to our competitions. 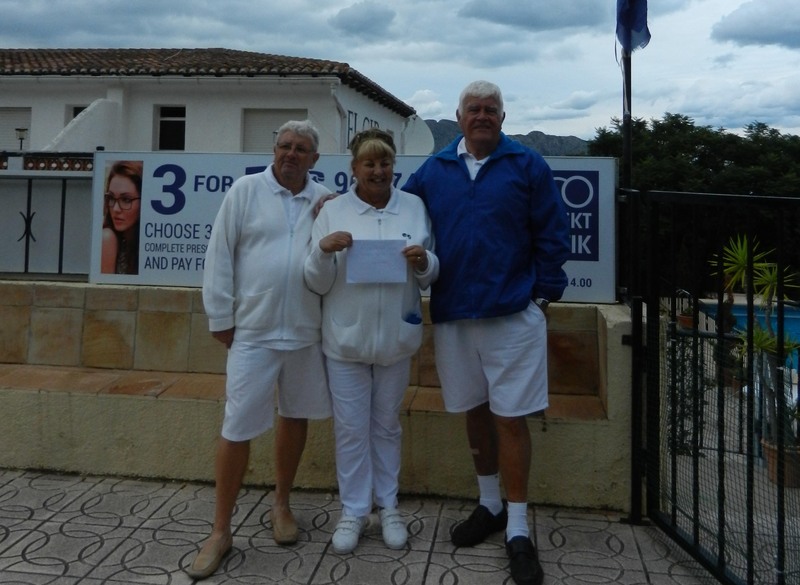 A big thankyou was also given to Direkt Optik for their generous sponsorship of this event. 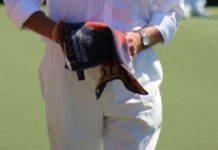 Stewart said a well done to everyone who played or attended and to our Umpire Tony Carroll. 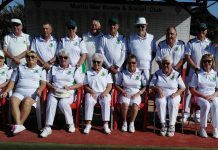 Special mention to a number of fairly new bowlers taking part in this competition for the first time and caused some early Halloween scares by taking a few scalps and gaining good experience. 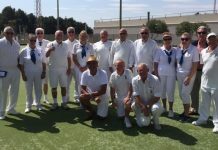 Thanks also goes to Steve Cummings for his work on the programme, Pat Arnett for her efforts raising 60 euros doing the football cards and to Sara and the Team from El Cid who kept us going for 3 days with super bowlers menu and drinks. 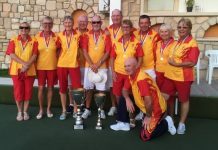 Clive English (Javea) on behalf of all the Clubs thanked El Cid for the organisation of an excellent competition and making it an enjoyable event for all the players and the many spectators over the 3 days.